In the last few years, dry bags have become a hot item for adventure travelers, outdoorsmen, and pretty much anyone whose job and hobbies require taking things that need to stay dry into environments where there’s lots of wind, water, and grime. Just like the name says, the bags are designed to keep your items dry, no questions asked. They come in a variety of sizes, shapes, and colors. Most, but not all of them, have a similar barrel-shaped design with a roll-style or press-and-seal-style top, the latter of which is more common on the small and medium-sized bags. In keeping with advances in ergonomics, however, some pioneering companies are making their bags more comfortable and easy to use by adding folding tops and two straps instead of just one, so they can be worn like a regular backpack. Usually made with scratch-resistant vinyl or nylon, the bags are coated with rubber or silicon which fill the seams and provide a durable and weather-resistant coating. The seams on most quality dry bags are ‘welded,’ which fuses the two parts together through the application of heat. Most dry bags are styled and constructed in such a way that they’re equally useable by men and women, and, because they’re watertight and airtight, dry bags can also be used as pillows, floats, buckets and coolers. Below are a few things you may want to consider before making a purchase, and a list of the 10 best dry bags, based on reviews from those who’ve bought and used them. Though we can’t list all of each bag’s attributes and flaws here, you’ll get a good overview, and you can click on the handy links to do a little more in-depth research on your own. 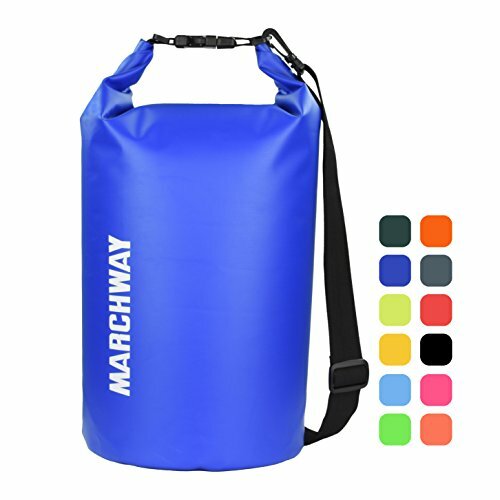 Available in 5, 10, 20, 30 and even a whopping 40L option, the Marchway floating, waterproof dry bags are available in 10 trendy colors, are made from rugged, rip-stop tarpaulin and feature welded seams. They should hold up for years, and from just $9.99 to $24.99, they won’t break the bank. 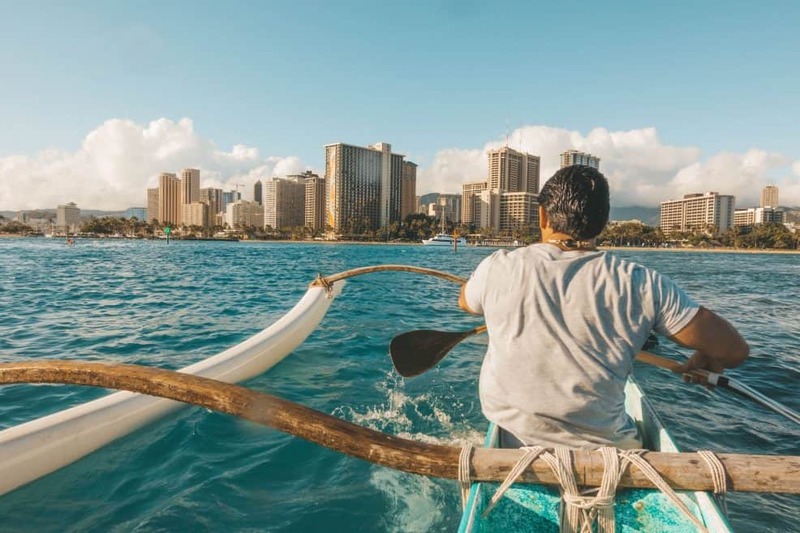 The bags use a tried-and-true roll-top closing mechanism which creates an air and watertight seal to keep your camera, tuna sandwich or travel wallet safe from water, mud, and anything else Mother Nature can throw at it. We like its ruggedness and simplicity. With 10 and 20L offerings sporting a single shoulder strap design, and 30, 40 and 55L bags equipped with backpack-style shoulder straps, finding one you like shouldn’t be a problem. The people at Earth Pak have even thrown in a waterproof phone case that can accommodate phones up to 6.5 inches diagonally. 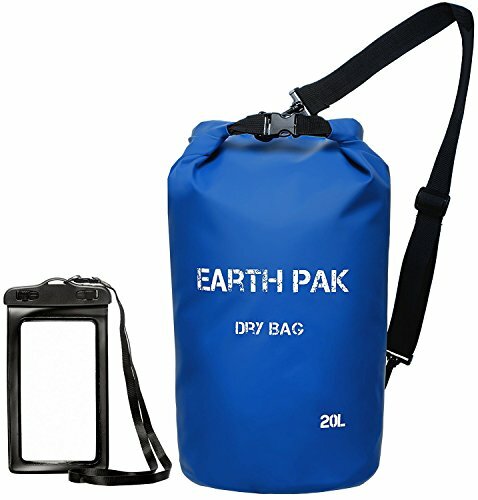 The Earth Pak gear is affordable and comes in 8 attractive colors. The bags were recently highlighted on a New York Times best-selling author’s personal blog, so you know it’s been doing something right. These bags are particularly robust and have a straight-forward design. If bargains are your cup of tea, then the 3-bag set from Easy Go may be just what the doctor ordered. For under $20, you get one black 20L bag with two shoulder straps, one blue 10L bag with one shoulder strap, and one orange 5.8L bag with one shoulder strap. Constructed from durable PVC-coated tarpaulin, the bags should do the job whether you’re whitewater rafting in Alaska or shopping for Christmas cards on a moderately rainy day in Cleveland. 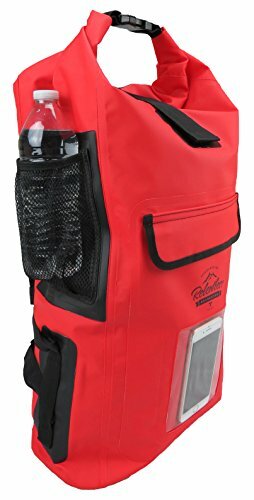 This is one of the best dry bags out there for travel. 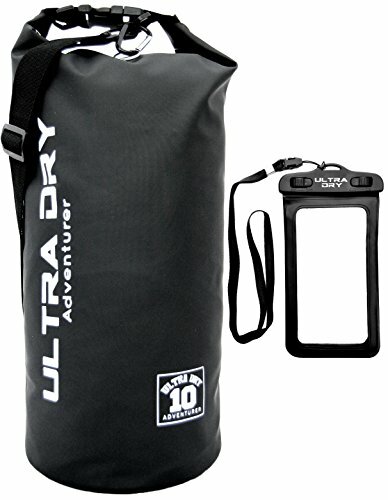 Priced at just over $15, Ultra Dry’s Premium 20L waterproof bag comes with two shoulder straps so that it can be worn like a regular backpack. Included with each bag is a waterproof phone case that’s big enough for nearly any size phone, and it has a clear window so the camera function can be used without exposing the phone to the elements. Ultra Dry claims that their removable and adjustable straps are 4 inches longer than the competitor’s too. This bag is simply well made and completely waterproof. Ultra Dry guarantees you’ll be delighted with your purchase, or they’ll replace it or refund your money. Relentless Recreation bags are made from heavy-duty PVC tarpaulin, and comes with a splash-proof (not waterproof) cell phone pocket too. It’s on the high side of the price spectrum, but it has a sporty design and is available in olive, gray and red. In my experience, 30L is a good all-around size, whether you need it to hold a change of clothes and shoes, a picnic lunch or both. Constructed using high-frequency welding, it’s not only tough, but light enough not to be a burden. Styled like a backpack, it has two padded shoulder straps and two handy drink holders. Reviewers commented on its styling and sturdiness, though a few complained of split seems and leaking. 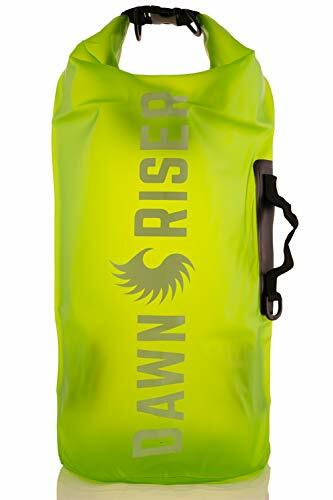 Dawn Riser’s waterproof dry bag provides sturdy construction, versatility, and the ability to withstand leakage, even when fully submerged. The bags are available in 2, 5, 10 and 20L sizes, 10 attractive colors, and have varying price ranges for all. Each bag has two removable and adjustable shoulder straps, so it can be worn like a traditional backpack. With 10 and 20L bags available between $15.88 and $23.88, Acrodo has something that other bags don’t: transparency. These dry bags come in 5 colors, each of which is transparent. Not that you really need to see what’s inside your bag, after all you’re the one who puts stuff in there, but it is kind of cool to be reminded. The Acodo bags are also waterproof and have a completely unique look when compared to their competitors. 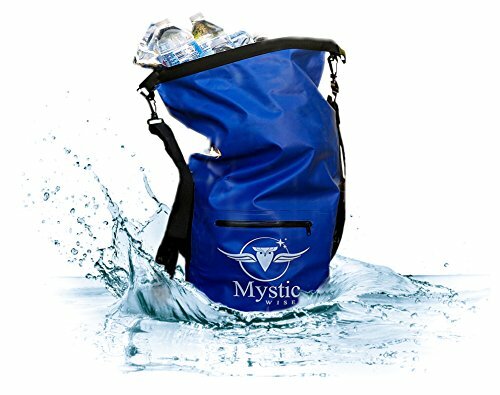 Mystic Wise’s waterproof, floating backpack and dry bag only comes in one size and color, but it’s under $20 and priced right. The Mysit Wise features a roll-top and clip-style opening, and there’s a zipper pouch on the outside for storing your cell phone and keys. Be warned, however, the pouch may not be waterproof like the bag itself. It also has drink holders on each side, two removable and adjustable shoulder straps, and is made of durable and pliable PVC tarpaulin, with the seams fastened with thermo-welding technology. They’re so confident in their product that it comes with a lifetime guarantee, but don’t forget to read the fine print and note the specifics. 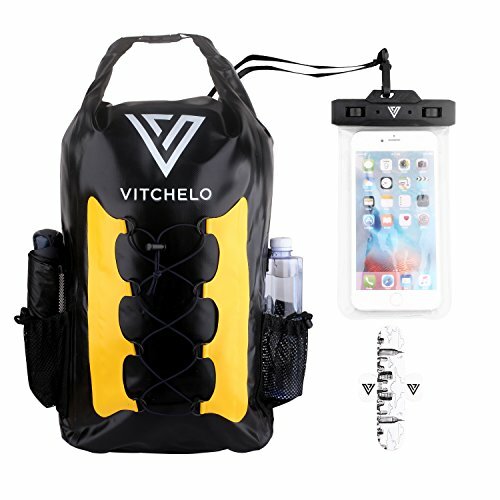 In my humble opinion, Vitchelo’s 30L dry bag sports one of the coolest and most modern designs on this list, which makes up for the fact that it’s only available in black and yellow. Even if you’re not from Pittsburgh, you’ll appreciate its vinyl tarpaulin construction, welded seams and roll-top closure system. At 30L, it’s big enough for all but the most extreme jobs, but not so big that it’ll be cumbersome, even when fully loaded. Featuring two well-anchored and ventilated shoulder straps, cross-sternum and belly straps to stabilize the load when hiking or walking, and padding to lessen the pressure and impact on your back, it gets high marks for comfort and attention to detail. Backed by a 60-day money-back guarantee and a limited lifetime warranty, the people at Vitchelo must be confident in their product. At almost $40 it’s slightly more expensive than some of its competitors. Most companies offer a range of sizes, and the typical unit of measurement is liters (L), which is the storage capacity inside the bag. The product information pages will also give you approximate dimensions of the bag when it’s full. Not all materials and manufacturing techniques are created equal. Keep a special eye out for how the seams are fused together. The welding process is generally considered the best. Most of the smaller capacity bags, and even some of the larger ones, come standard with a single strap designed to be worn over one shoulder. Take it from me, this isn’t the most comfortable way to carry a heavy bag long distances. More companies are now offering a double-strap design like that of a backpack, which is more comfortable as the weight is centered and both shoulders share the load equally. It’s important that you don’t have to jump through hoops if the product doesn’t live up to your expectations. 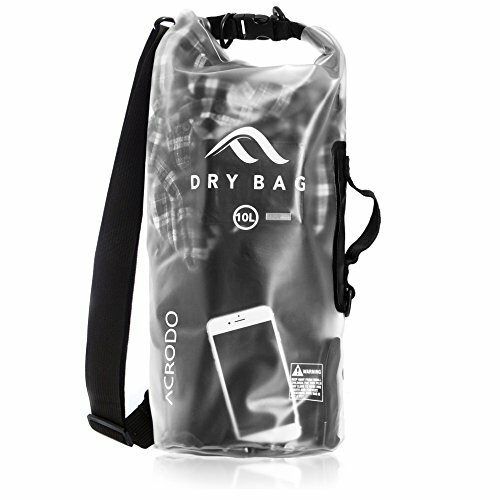 Some of the dry bags on the market come with nifty little extras, like detached, waterproof phone bags and bottle holders. In real estate, it’s all about location, location, location. Buying dry bags is all about customer reviews, customer reviews, customer reviews. Don’t feel bad about capitalizing on the successes or failures of others. 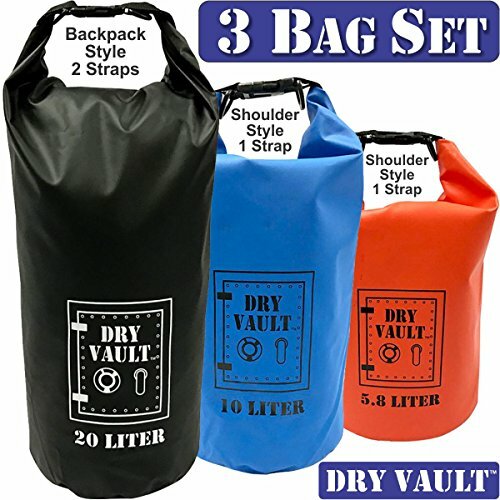 Make sure to read reviews thoroughly to make sure you get one of the best dry bags money can buy. It goes without saying that we all want to buy a product that will do what it’s supposed to and be a good bang for our hard earned buck. Hopefully, you’ll never have to get wet enough to completely test out your dry bag. However, we can never predict the weather or our circumstances so it’s always better to be safe than sorry when it comes to protecting your gear!